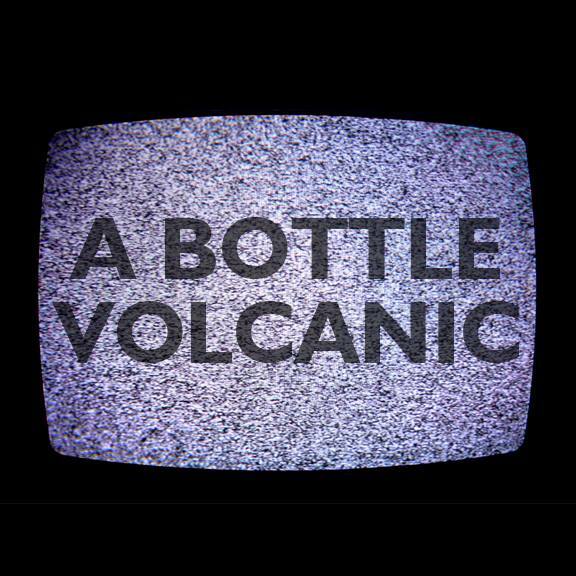 If a screenwriter needed inspiration for something new A Bottle Volcanic’s recently released album Weird Magic would be more than helpful. It’s coarse but darkly magical atmosphere is built on experimental rock-meets-metal and sometimes spare instrumentation, effecting a duality on an album where the push and pull of energy delivers a powerful scope of musical art. A Bottle Volcanic will have an album release show this Friday at Reggie’s 42nd Street Tavern with friends Mountain Thrower, Youth League, and Wax Imperials. The result is a mix of textures and emotions on songs for anyone to engage and find meaning. An album that is light and dark, of passion and energy, its songs are heavy on ambiance and atypical construction finding the still young band taking a large step forward from its 2013 debut album Away with Funeral Music and a brisk but excellent follow up EP A Place in Hell in 2014. Album opener “Purple River” lays groundwork for Weird Magic – its bruising soundscape is tense – melodic music floating from tempered energy to grinding bombast against Edwards’ vocals easily snaking between the metallic sugar of T.Rex’s Marc Bolan and scorching explosiveness of Marilyn Manson. The album has been a long time coming, its germination in part from the EP. Ultimately Weird Magic is rather hypnotic, owing as much to picturesque lyricism to the band’s ability for packing punch through both restraint and unleashing sonic fury. Key examples include “Tiny Pictures” which builds ominously and culminates with Edwards’ pummeling chorus of “who do you worship now?” and “Bullet” which is built on simmering, often rippling guitar work and a rhythm section that feels like an approaching storm which lands monstrously (the descending guitar riff near the end is superb). The push-and-pull album persona is illustrated well by “A Place in Hell,” a song brought over from the 2014 EP and wonderfully deceptive as a simmering mix of stark pop song, blues, dystopia-sounding production, and whose genesis is as left field as it gets. Weird Magic has seen a special release – the album is available on CD along with a 45 rpm record with two more songs, pressed on a selection of colored vinyl (their debut was produced in hand made wooden cases). Our drummer, Charlie, helped me schlep an organ home that I bought on 4th Street for next to nothing. I spent a couple months recording some ideas, one of which became “Howl.” Lyrically, it’s an introspective song, the result of a lot of change that was happening in my life at the time. I moved a few months after buying the organ and it ended up in Ian’s studio permanently. As for the production, many of the background sounds are the result of shaking and dropping his Twin Reverb to record the springs rattling around inside. That’s the great thing about Ian; he will actually encourage you to beat up his vintage equipment if the recording calls for it.